Aptly named to the point of near self-parody, ”Variety Stomp” combines dramatic overture, parade march, and dance number into a slick, multi-strained instrumental floorshow. 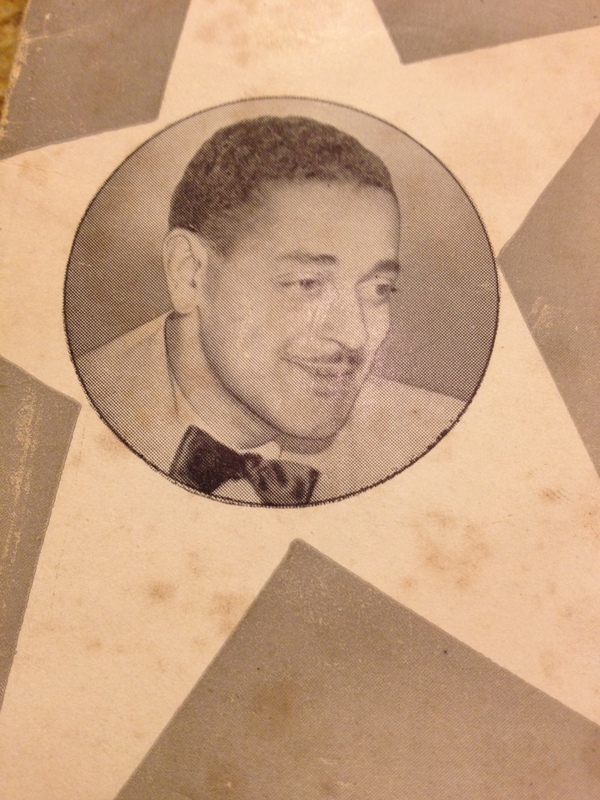 According to Walter C. Allen’s Hendersonia, Variety magazine’s Abel Green claimed that Trent, Henderson, and Green wrote the song as a tribute to the entertainment magazine. If so, it spotlights a darker side of show business. A theatrical minor key first section features a descending line right out of Sousa commission from Darth Vader. That section alternates with a cheerier, more danceable second strain and a dark bridge. Unlike other hot dance tunes in a minor key such as Duke Ellington “Jubilee Stomp” or Fats Waller’s “Zonky,” “Variety Stomp” feels like a prelude for an operetta villain. The story isn’t entirely serious, nor is it wholly light. Williams baldly spelling out a major triad in the middle of his routine comes across as hysterically naive, to the point of deadpan. He is now often written off as a joke but was, in fact, a trained musician educated at Tuskegee University, likely in on the joke and playing just as “badly” as he wanted. Benny Morton attacks his trombone like a guffawing circus ringmaster. He positively relishes the tailgate effects that must have already seemed old-fashioned at the time, using them for further comic/sinister effect. The contrasting theme features golden-toned Joe Smith Tommy Ladnier and Buster Bailey playing alto sax like a clarinet (I have to politely disagree with Allen saying Don Redman plays alto). June Cole’s tuba is a monster: its rich, dark color colors and punchy, rounded beat are as strong an argument for brass bass as any. The reeds switching to soprano saxophone (rather than the customary clarinets) or the third take replacing Henderson’s stride piano with a sax soli are a few more subtle but powerful touches. A transcription of Henderson’s recording by composer Mike Henebry reveals that several parts of this chart are not even syncopated. That may sound the death knell in terms of jazz credentials (and I won’t even bother citing Gunther Schuller’s commentary), but these musicians may not have had the luxury–or wisdom–to be so doctrinaire. Henderson’s well-trained, professionally diversified, and in many cases classically trained players knew how to handle stage music and marches as ably as any hot number. It’s no surprise they dig into this chart with the utter precision of professionals. Henderson’s “Variety Stomp” excels in terms of setting a mood and sheer musicianship. The glory of this piece isn’t whether or not it is jazz, but the fact that this band imbued everything with spontaneity as well as polish. Maybe the band was going for a less intense sound in order to avoid competing with their own Victor recording, or just to provide some contrast between the two. Maybe they were just tired. Either way, it only sounds tamer below the very high bar set by the Victor version(s). The Hagen band’s bright sound, metronomic but by no mean inflexible beat (thanks in large part to Ed Brader’s bass) and strong attack give “Variety Stomp” a clean, straightforward drive even without much customization. The tune has a built-in energy that doesn’t require much heavy lifting on the band’s part. Mario Elki’s band in Berlin also recorded “Variety Stomp” but Tom Lord’s online Jazz Discography, Johnson and Shirley’s American Dance Bands on Record and Film 1915-42, and The Online Discographical Project don’t list any others. It’s unclear exactly what the songwriting team had in mind for “Variety Stomp.” The Internet Broadway Database doesn’t list it as part of any shows. Supposedly, Abel Green wrote lyrics but no one on record bothered with them. “Variety Stomp” might have simply been intended for quick consumption by a dance-hungry public. All three composers were established in the songwriting industry and this could have been just another day at the office. Jo Trent co-composed such hot tracks as “Muddy Water,” “Rhythm King,” “Goose Pimples,” “Georgia Bo-Bo” and “My Kinda’ Love.” Among other standards, Ray Henderson composed “Has Anybody Seen My Girl?” and “Button Up Your Overcoat,” while lyricist Bud Green worked on everything from “Alabamy Bound” to “Sentimental Journey.” Henderson also worked as an accompanist in vaudeville, and Trent had collaborated with Ellington on works that must have made their way into several floorshows. That account for the touch of mustache-twirling villainy on “Variety Stomp”. Plagiarism is all over the headlines this minute yet there’s only one potential piece of piracy we need to close the books on. Sing or hum the ballad of the Hottentot sheikh along with Ed Cuffee’s slow, slack opening trombone on the second title: don’t these two tunes sound alike? Don’t the chord changes, at the very least, sound very similar? Did Hite pilfer Henderson (or whoever)’s work? Was he teasing at it by rhyming his composition with the title of the purloined stomp? Or did Clarence Williams just think it would complement a tune christened “Bimbo” at the same record session? This uncertainty isn’t going away anytime soon. Let’s get to the bottom of this, people. Bailey’s runs and arpeggios, confident octaves and solid tone on the B-flat soprano clarinet are much closer to these bass clarinet solos than the smears and whinnies that Redman brought to the standard clarinet (unless Redman was really keeping his skill under wraps). Bailey was probably the more serious student of the clarinet and definitely the happiest of the group to play it: several writers have documented that neither Redman nor third reed Coleman Hawkins enjoyed playing clarinet. It’s hard to imagine Redman applying an unexpectedly proficient approach to the larger, unwieldier version of an instrument he disliked. As for Hawkins, it’s definitely his C melody saxophone following the bass clarinet, practically stepping on it during take two. The oaken sound of the instrument, Bailey leaning into blue notes and stretching the tune into jittery noodles is an effective bridge between Louis Armstrong’s searing licks and Hawkins’s hefty C melody sax. It’s no surprise that so much has been written about Armstrong and Hawkins from this period, but it’s interesting to focus on Bailey. Apparently the arranger (Redman?) thought so: the Henderson band had already recorded Isham Jones’s new tune a few days earlier but now added this chorus just for Bailey, in stop time for further effect. Also interesting is the use of the bass clarinet itself. The instrument didn’t exactly have a renaissance during the twenties but pops up often enough to make an impression. Eric Dolphy and others bass clarinetists garner more attention in jazz histories than Bailey, Bobby Davis or Johnny O’Donnell. The assumption seems to be that a musician playing bass clarinet in a twenties dance band did it for the sake of commercial novelty while the postwar generation were sincere experimentalists. Thank goodness is it is easier to decode soloists than historical classifications! The acoustic recording makes it a little difficult to hear Bailey, which just adds to the tension between ensemble and individual, written parts and improvised licks, lead and counterpoint. Yet Bailey is there, on his own terms, playing with the listener’s expectations. By 1924, at age twenty-two, Bailey was already a seasoned musician, having joined WC Handy’s orchestra as a teenager before gigging with blues and jazz star Mamie Smith and then King Oliver, where he first met Armstrong. Playing in Oliver’s band, Bailey must have honed his skill at providing the fast upper-register lines around the lead crucial to the New Orleans ensemble concept. Compared with frequent Oliver clarinetist Johnny Dodds and other New Orleans ensemble clarinetists, there is a busier, more penetrating approach to Bailey’s lines, as much informed by Bailey’s classical studies as his own “wicked” sense of humor. Even alongside Armstrong’s towering presence, repeated and open-eared listening to Bailey reveals another player integrating his own influences into a deeply personal style: facile but proud to sweat, unashamedly “vertical,” energetic and mesmerizing in its jittery poise. Armstrong himself would later refer to Bailey as “the great clarinetist and alto saxophonist,” implying an appreciation for his talents as both a clarinet soloist and a section man. Dickerson also points out that Armstrong was still “happy to see another Midwesterner” join the Henderson band and that the two would eventually became good friends. We can now admire Armstrong’s magnanimity and even forgive his youthful competitiveness, but it’s no surprise that Armstrong, and not to mention fellow Hendersonian and future “father of jazz saxophone Coleman Hawkins, were eyeing the tall, smirking gentleman from Memphis coming up behind them. Unfortunately, YouTube removed a great clip of Barry Ulanov’s All Stars, featuring Ray Brown, Dizzy Gillespie, Charlie Parker, Max Roach and Lennie Tristano playing “Tiger Rag. Readers are encouraged to share examples of “Tiger Fusion, Tiger Latin, Tiger Atonal, Tiger Hip Hop” or their own favorite exploration of this perennial favorite. 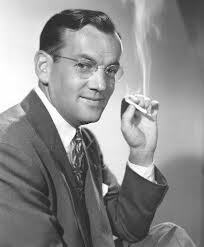 Given Jazz Age assumptions about which bands were supposed to play what, and the frequency of jazz-tinged instrumentals in Joe Candullo‘s discography, it’s remarkable that the violinist and bandleader was able to record quite a bit of music other bands were simply expected to play. The same ratio of hot to sweet music was the norm for Duke Ellington, Bennie Moten or Charlie Johnson. 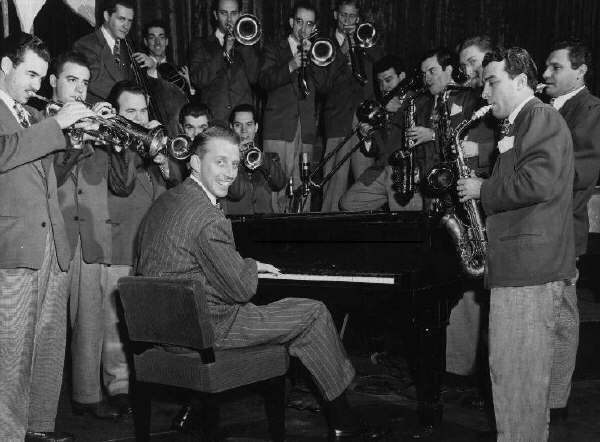 You hear about the Duke Ellingtons, the Jimmie Luncefords, and the Fletcher Hendersons, but people sometimes forget that jazz was not only built in the minds of the great ones, but on the backs of the ordinary ones. Sour grapes? Perhaps, but the fact remains that history books don’t pay as much attention to the artists who did what they did well without breaking barriers or spawning a school of influence. Unfortunately Calloway‘s energetic singing and swinging bands were “merely” exciting music that was played incredibly, but which didn’t build the foundations of big band jazz like Henderson, reinvent jazz orchestration along the lines of Ellington or even define an iconic rhythm a la Lunceford. Yet even Calloway has enjoyed a modest degree of historical attention compared to many of his other Swing Era colleagues. If Calloway’s back and Ellington’s mind helped build the house of jazz, they did so with the Mills Blue Rhythm Band’s legs running to all the gigs they couldn’t make. 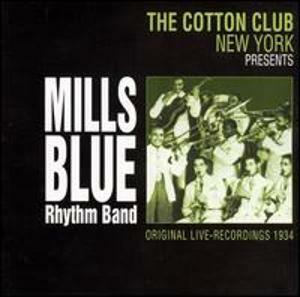 Managed by impresario Irving Mills, the Mills Blue Rhythm Band was a New York based outfit designed as a third tier cash cow underneath Mills’ other two clients, Duke Ellington and Cab Calloway. 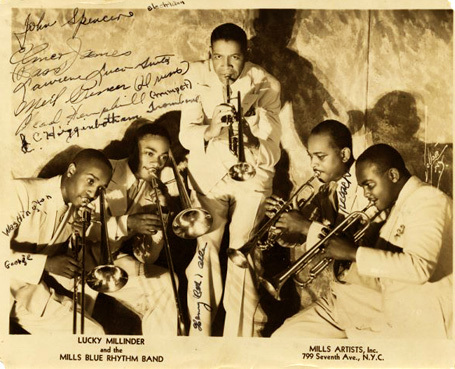 The Blue Rhythm Band would cover Ellington/Calloway fare such as “Minnie the Moocher” and “Black and Tan Fantasy” along with their own swinging originals, without ever being allowed to compete with Mills’ star operations. What short shrift the MBRB does receive in jazz history texts frequently reiterates that given a revolving door of musicians fronting the band, and absent a distinct book, the band was never able to establish a singular identity or distinguish itself from other swing groups. The group’s discography reveals a variety of big band sonorities, roof-raising soloists (many drawn from the star-studded ranks of Fletcher Henderson’s band after it folded) and the type of innately danceable rhythm that defined “swing” as a musical adjective, verb and noun during the thirties. The rhythm is a little chunky but not stiff, and it rides forward, never up and down. Pianist Hayes, along with bassist (and future Ellington alumnus) Hayes Alvis and drummer O’Neil Spencer aren’t doing anything groundbreaking as a rhythm section, just laying down an addictively steady beat in solid four. There’s none of the percussive color of Sonny Greer, the dynamic technique of Jimmy Blanton or the world-altering glide of the Basie rhythm section. Like Al Morgan and Leroy Maxey, Cab Calloway’s bass and drum team, the MRBB’s rhythm section provided an assembly line of groove: steady, reliable, and easy to take for granted. Calloway’s back may have been sore by the end of his career, but the Mills Blue Rhythm Band needed corrective surgery.